Product #1689 | SKU 203 | 0.0 (no ratings yet) Thanks for your rating! The Manfrotto 203 Extension Arm extends a small light head 12 cm from your #171 Mini Clamp. 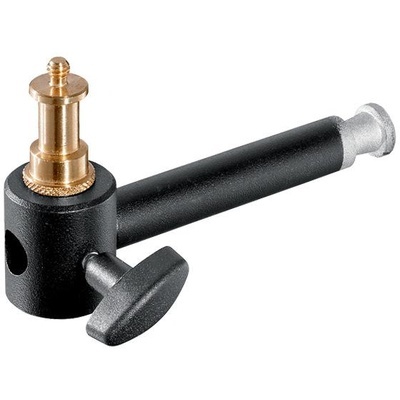 It includes a #013 double-ended spigot that has a 1/4"-20 and a 3/8" screw thread. This item replaces old catlaog #2949.